The Hibar B Series Check Valve style Dispensing Pumps have proven reliability having serviced the cosmetic, food, pharmaceutical and technical industries for over 30 years. These pumps are ideally suited for low to medium viscosity applications (<20,000 cps) that require dispensing of .020 ml to 20 ml per shot. 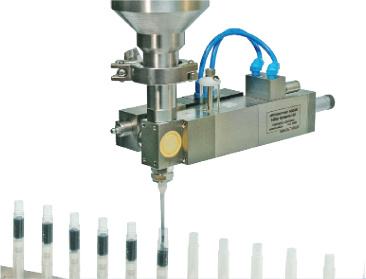 The Hibar B Series Rotary Valve style Precision Dispensing Pumps have been servicing the cosmetic, food, pharmaceutical and technical industries for over 30 years. These pumps are ideally suited for medium to high viscosity applications (>5000 cps) that require dispensing of .050 to 20 ml per shot. The Hibar 4H Series Check Valve style Dispensing Pumps are ideally suited for low to medium viscosity applications in food, cosmetic, technical and pharmaceutical industries. Dispensing accuracies of 1/2% or better can be easily maintained without readjustment or recalibration. These pumps are ideally suited for low to medium viscosity applications (<20,000 cps) that requires dispensing of 1 to 250 ml per shot. We sell, service and provide parts for Hibar Systems dispensing pumps and filling lines and other Hibar equipment. We can upgrade your existing equipment with Hibar pumps and nozzles, including pouch machines, blister/thermal form machines, tube fillers, or any equipment requiring extremely precise liquid dispensing. Stocked testing center for product dispense testing of your product. We can repair or rebuild your existing pumps with turn around time of 1 to 2 days (pending availability). In-stock items ship the same day from our 5,000 sq. ft. facility, located in Bath, PA, U.S.A. In-house horizontal form, fill, seal machine for testing of your products in a pouch format (PSnC is not a co-packer or contract packager). Personnel training on rebuilding and trouble shooting common problems in your facility, or our Bath, PA facility. Service rates may apply. Demo or loaner pumps are available. Fees may apply. 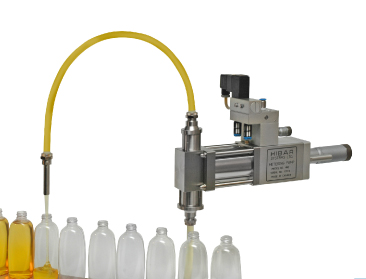 The Hibar product line supplies superior liquid dispensing and filling solutions for applications that include personal care, cosmetics, food, pharmaceutical and battery industries. PSnC, Inc. is a factory authorized Hibar Systems Limited distributor located in eastern PA. 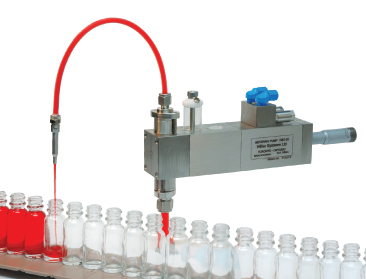 The Hibar product line supplies superior liquid dispensing and filling solutions for applications that include personal care, cosmetics, food, pharmaceutical and battery industries.  As a factory authorized distributor PSnC Inc, along with Hibar Systems has provided liquid dispensing pumps and completely automated high speed dispensing lines for companies that range in size from small mom and pop operations to large fortune 500 companies for over 30 years. PSnC, Inc. provides ongoing customer support through stocking commonly needed parts in our PA facility. We also supply services technicians to travel to your facility for service, repair, training or new application evaluation. 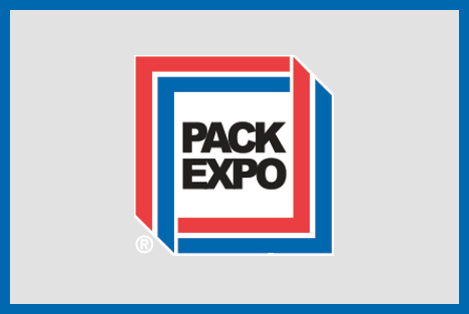 We are able to provide same day shipping of in stock items for minimal down time of customer packing lines. Hibar Systems is a leader in the pioneering and development of precision metering pumps and dispensing systems. Hibar and PSnC can supply customers with single pump and nozzle combinations. Suitable for small bench top systems, start up companies, or lab applications. Hibar and PSnC can also supply you with completely automated custom designed and engineered machines for fully automated packaging and dispensing lines. PSnC, Inc. is committed to customer satisfaction. PSnC is very proud and honored to have worked with Hibar Systems for the past 30 years. We look forward to working with Hibar Systems Limited for many more years to come. Please feel free to browse the Hibar website by clicking on the Hibar logo. 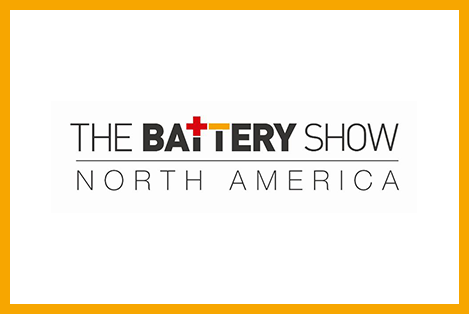 If you would like to see Hibar products first hand then plan to visit us at a tradeshow. 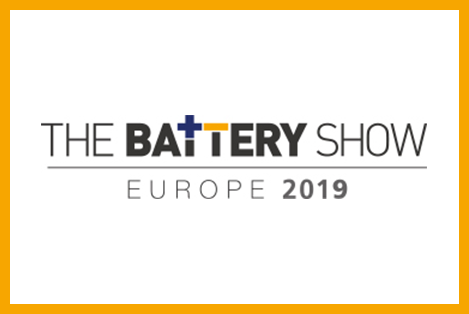 Hibar will be presenting out products and services at the following tradeshows in 2019! Do you have a question or comment for PSnC?